The camera glides through the sun-bleached streets of Rome, surveying its architecture, singers, tourists. It’s omnipresent; yearning like an idle god striving for subjects. 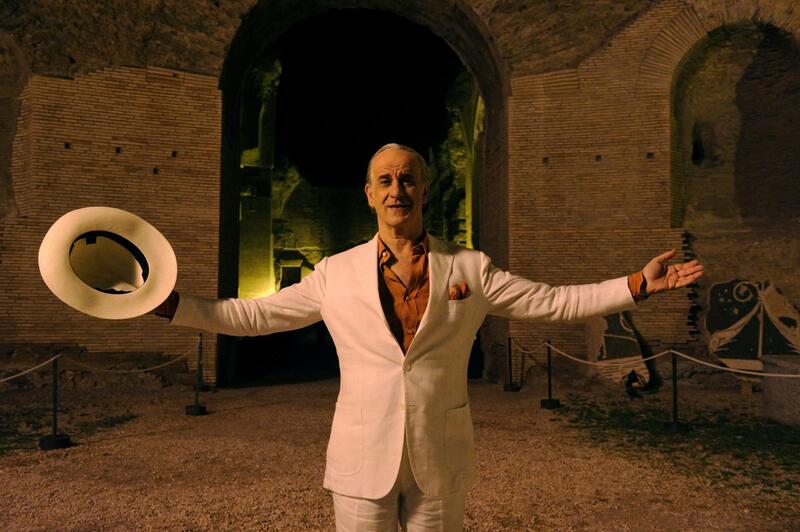 This divinity chances upon a vibrant party and eventually focuses its gaze on one man: Jep Gambardella (Toni Servillo), “king of the socialites,” an idle, wealthy journalist/ex-novelist celebrating his sixty-fifth birthday. I wish The Great Beauty had found a different protagonist. The film strives to emulate Fellini, to conjure profundity and majesty. But it has too much in common with Jep. Like him, the film drifts like an unmoored boat, searching for meaning in religion, in women, in art, but falling short – Jep’s life may be, as he describes it, “nothing,” but there’s no need for the film to follow suit. Like its protagonist, the film is self-important and bloated; it runs for longer than it needs to, with as many false endings as Return of the King. The Great Beauty is regularly gorgeous, its roving cinematography highlighting Rome’s best features like a high-budget tourism advertisement. But true beauty eludes its grasp; all its talk about Flaubert and a grand artwork about “nothing” (again) didn’t compensate for the emptiness I found beneath this film’s sparkling surface. If not terribly positive. At some point I hope to catch this, but it ha already left nearby theaters, so we’ll see. Most critics seem to love it, so I’m definitely in the minority for not enjoying it. I know. But I too tend to prefer substance over style. Yours isn’t the first review I’ve seen criticize that part of it. Hopefully I’ll have a different reaction, should I see it, but we’ll see . . .